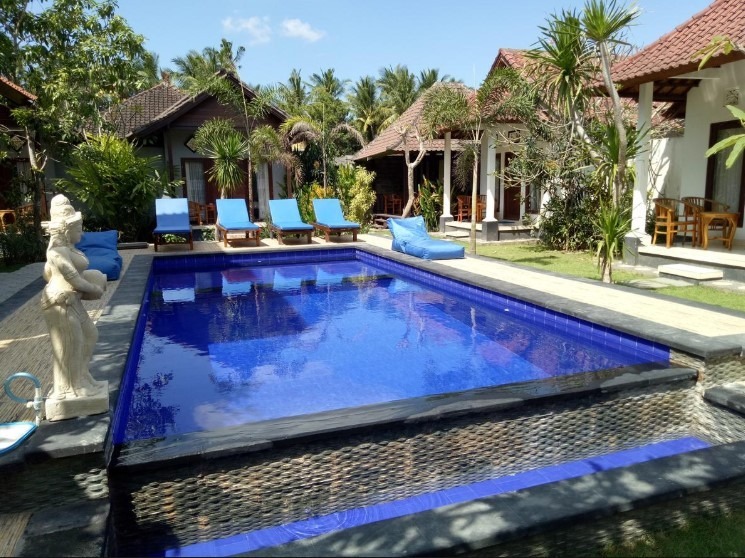 Youngsters always look for budget homestay Bali for their Bali accommodation when they want to enjoy the beauty of Bali. There are a lot of great options. No wonder if so much people want to visit Bali to enjoy its panoramas. Youngsters also take part to enliven the tourism of Bali. Romance and social media existence take an important role in their visit to Bali. Many resort, villa, and hotels are luxurious and have an expensive price. For youngsters, it will be a problem to spend much money. They have to think twice before taking a budget homestay. If not, they will get a problem in Bali. Don’t worry about your money and your place to stay in Bali. There is a good news for you since Bali has the best budget homestay with comfortable service. The following are the cheapest budget homestays for your Bali Trip. What kind of homestay do you expect for your low budget? Perhaps it is just a room with a bed in it. You will never find something like that one if you stay in Angga Homestay. You will get surprised when you are here. The place is clean with a special touch of Bali. The special art design of Bali is awesome. What about the room? It nice if you compare it with the budget. The bed is comfortable. You will get a personal bathroom with hot and cold shower. Furthermore, the park surrounding adds your comfortable feeling to stay. You can enjoy it even from inside your room. You can also do cycling by renting a bike here. How if you are hungry and lazy enough to leave the homestay? You can order the breakfast to send to your room. Walk around if you want another food, western and Indonesian food can be found there. 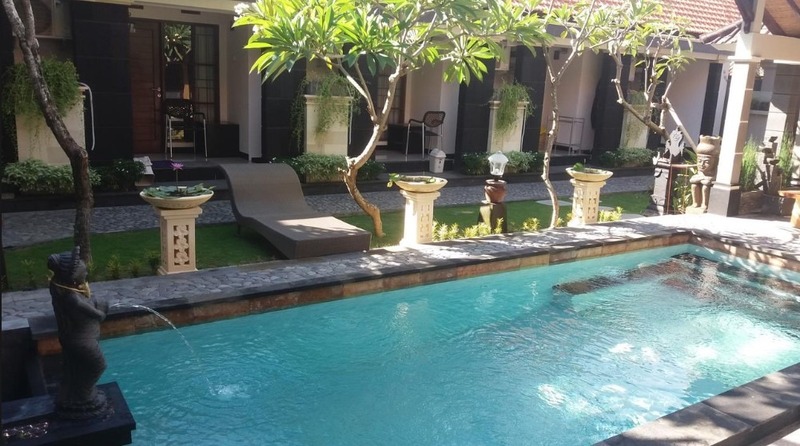 Moreover, this homestay is also close to Ubud famous landmark, Ubud Palace, and Ubud Art Market. You only need a few minutes to reach. 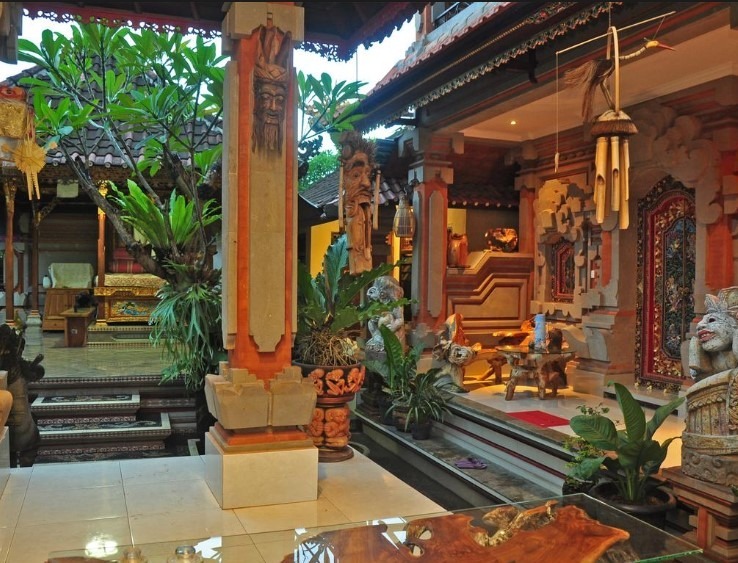 In addition, this homestay is located in Ubud. You need 90 minutes to reach it from the airport. Many tourists like to stay here and you should stay here when you are in Ubud. Perhaps you want to explore Nusa Lembongan and need a place to stay. Radya Homestay comes to you with it’s the best service. Besides the cheap price of this homestay, you can enjoy and relax the swimming pool. Whenever again you can find a low budget homestay with a swimming pool. Just enter the room and you will get a clean room with a smooth and comfortable bed. Furthermore, with its cheap price you still get a personal bathroom. An air conditioner is provided. The bathroom is complete with shower and comfortable to use. Spending your time in Lembongan, you can explore this tiny island from Radya Homestay. Cycling around the area is nice and refreshing. On the other option, just come to the nearest beach. You can also do snorkeling. In addition, don’t worry about your internet access, free wifi is ready. You can also explore Mangrove forest. It is not far and only a few minutes from Radya Homestay. Almost forget, it has large parking area. So cheap and so nice with its facility. Spending night on a beach and having bonfires are two favorites moments of youngsters. The question is where you can enjoy it in Bali? just come to Jimbaran. 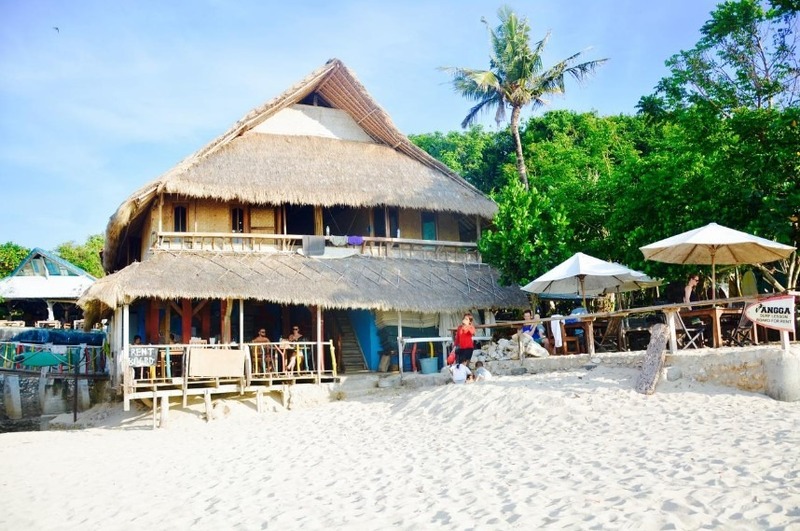 Located in Balangan beach you have to stay in Santai Warung Bali. This homestay offers you a very old traditional style of a homestay. From the outside look, it looks like a hut on a seaside. Although it is not luxurious it is comfortable to stay. Moreover, this small hut homestay has wifi connection in the public area. You can share your bathroom with the other visitors. The room is not really big but comfortable enough to sleep. Relax and enjoy the seafood is nice here. On the night, just enjoy a bonfire with your friends. The sea wind touching your skin and the bonfire warming your togetherness. This homestay is best for friendship togetherness. Never miss this place when you are visiting Balangan Beach, Jimbaran. Another option is Timbis Homestay Bali. This budget homestay is appropriate for you who want to stay in Nusa Dua. Stay in here you will get a comfortable homestay with a green park around it. A swimming pool is nice to relax in this homestay. The room is comfortable and clean. The bed is nice and you can get your best sleep there. Moreover, you will get a personal bathroom. A minibar and air conditioner are also provided. In the afternoon, you can spend your time to read a book or have a coffee on your personal balcony. Besides those nice facilities, airport pickup service is provided with additional charge. It is only 17 km away from the airport. Pandawa beach, Geger beach, and green bowl beach are only a few minutes from Timbis Homestay. Exploring those places won’t take too much time from your homestay. Nice to stay in with some ease of destination access. Minimalist, modern, classic, clean, and comfortable. Kubu D’ Bukit Homestay located 4.5 km from Kuta and easy to access with your private car rental. It offers a minimalist place to stay with a swimming pool in the middle of it. This accommodation is clean and well-taken care. Entering the room you will get a TV on it. Free wifi and bathing tools are your next facility. This budget homestay also has a private balcony in several rooms. Moreover, the water park and bar make you more comfortable to stay. You can reach some famous Kuta landmark only in a few minutes from this homestay. Circus Waterpark and Waterbom Bali are close to visit. When you are hungry, JBS Seafood restaurant is only 1.2 km away. In addition, this homestay only 3 km away from Ngurah Rai International Airport. It also provides rental car service. You can explore Kuta, Jimbaran, Legian, and other areas with it. Although Bali is famous for the luxury and high-class holiday, you can spend a small amount of money to enjoy it. Many places to stay which is friendly to your pocket. Don’t worry about how much you will spend there. The budget homestay Bali will give you the best service to stay in the cheapest price and high class services.